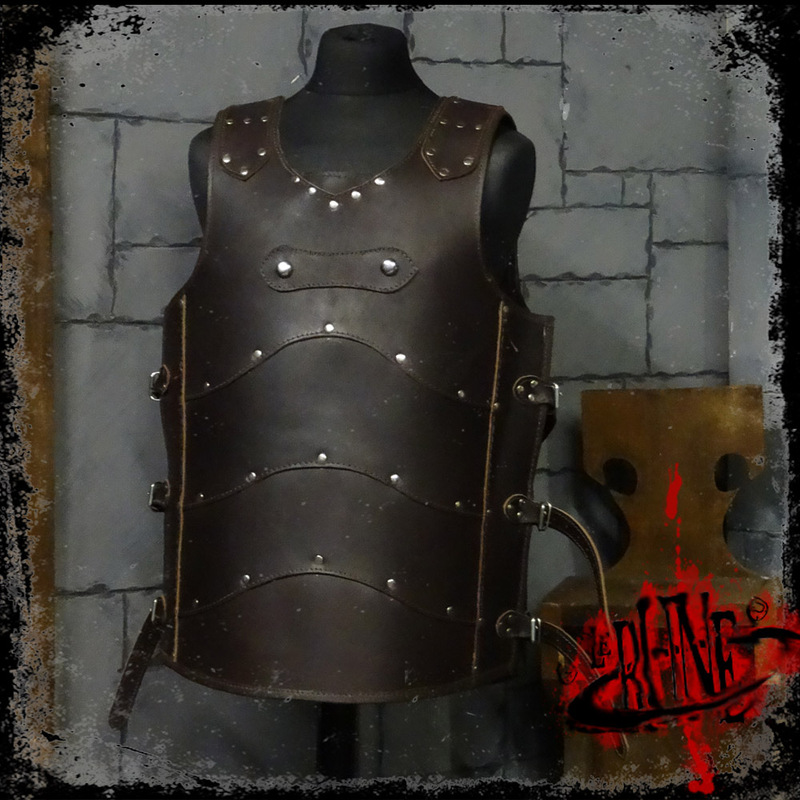 This cuirass is produced from fine buffalo leather, with soft leather borders. Pauldrons can be fixed directly over the shoulders. 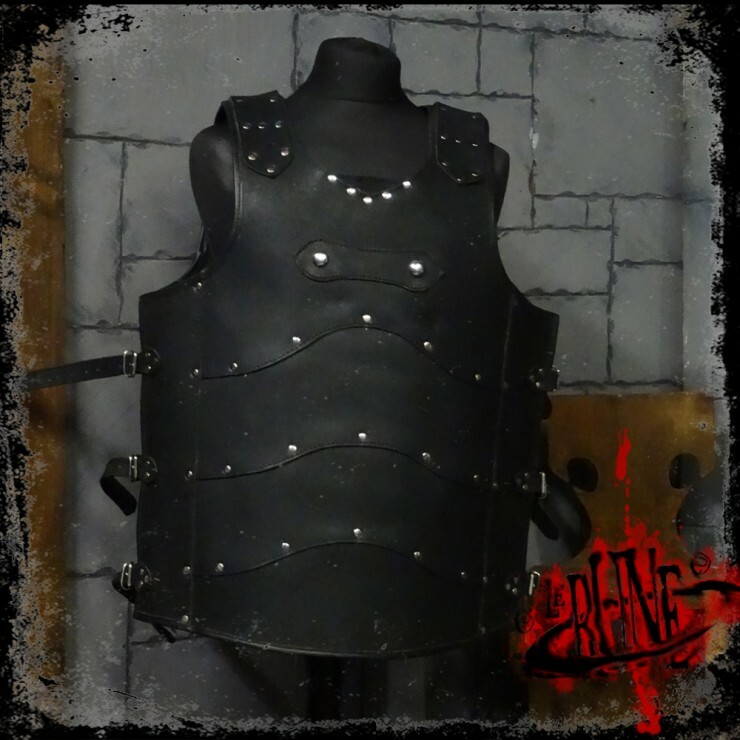 The cuirass is closed with belts and strings on both sides.